The latest issue (Vol. 23, No. 3) of The MAST Journal was recently published. Editor Eloise Rosenblatt rsm reports that the issue entitled “Concerns of Pope Francis,” reflects the general enthusiasm for the papacy and inspiration of Pope Francis. The MAST Journal is published three times a year by the Mercy Association in Scripture and Theology. To subscribe, please contact Julia Upton rsm or subscribe online. The purpose of MAST is to promote studies and research in Scripture, Theology, Spirituality, Church and congregational history and themes, the Institute of the Sisters of Mercy Direction Statement including those issues that have been named as “critical concerns,” and topics related to ministries supported or sponsored by the Sisters of Mercy and the broader community of Mercy, as well as ongoing spiritual development and enrichment. 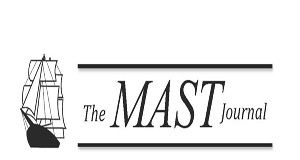 Volumes 1- 22 (1991 - 2014) of the MAST journal are archived on the site and can be read online or downloaded.